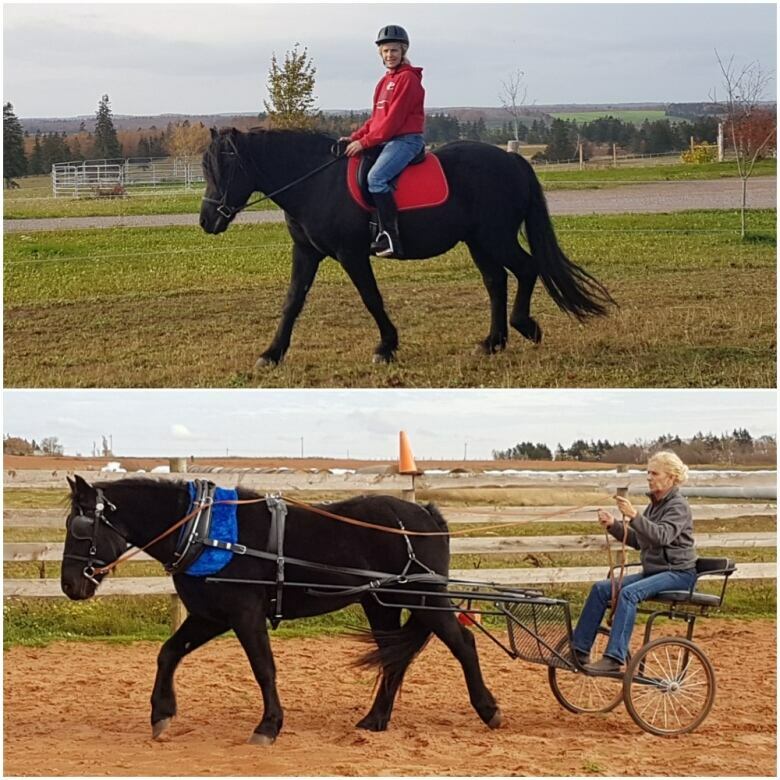 We talked to two Canadian horse owners on P.E.I. to find out why this breed is so special. CBC talked to two Island Canadian horse owners to find out why they are so special — Evelyn Lafortune of North Milton, P.E.I., owns Molssen and Belle, and Orwell Corner Historic Village in Orwell Corner has Sean, Tartan and Urban — all, coincidentally, Molssen's offspring. The historic village is part of the provincial government's network of museums. Canadian horses descend from a shipload of horses sent to Canada in 1665 by King Louis XIV to his subjects in New France. 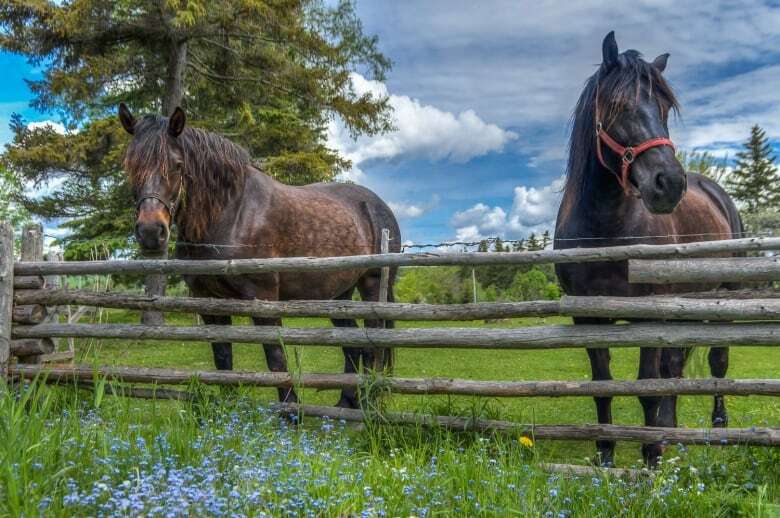 They were likely a variety of breeds including Belgian, Percheron, Breton and Dales that mixed to become what became its own distinct breed, according to the Canadian Horse Breeders website. Only the hardiest survived those first tough pioneering decades, leading to their nickname as the "little iron horse." The federal government had a breeding program for Canadian horses in 1913 after mass exports to the United States led to a dangerous drop in numbers, says the Canadian Horse Breeders website. The program ended in 1940 but the Quebec government took over and kept the program running until the 1960s. "And then I researched it and thought 'Oh my God, how could I not know about this?'" She visited farms in Quebec and fell in love with the horses, bought and raised them and at one point had a herd of 12. Canadian horses have extra-hard hooves that often don't even require horseshoes. They grow long, thick coats in winter so they don't need blankets, and can live outdoors with some shelter year-round. 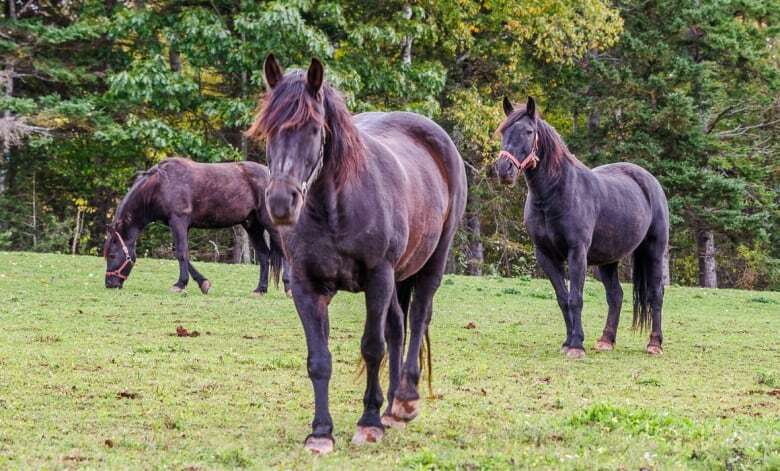 Like many heritage breeds, they don't get sick often — they have a robust immune system and are not prone to colic or founder, as many horses are. So, owners say they save big on veterinary bills! They are also long-lived, with a life span of 25 to 30 years. Because they are intelligent, Canadian horses are easy to train and love to please. Even though they are smart they are not high-strung and are very reliable — "bomb-proof" is the word horse owners use. Lafortune recalls when she was breaking Molssen to harness and she hadn't had much experience, she harnessed him to a cart improperly. "They are calm and relaxed and in general don't spook very easily," he said. Canadian horses can pull unusually large loads for their size, which made them ideal for hauling logs in the woods or large wagons loaded with people, grain or hay. Not only that, they love to have a job to do, and will get bored if given too much free time. "They can go all day long," said Lafortune. "They will work tirelessly," agrees MacNeil. 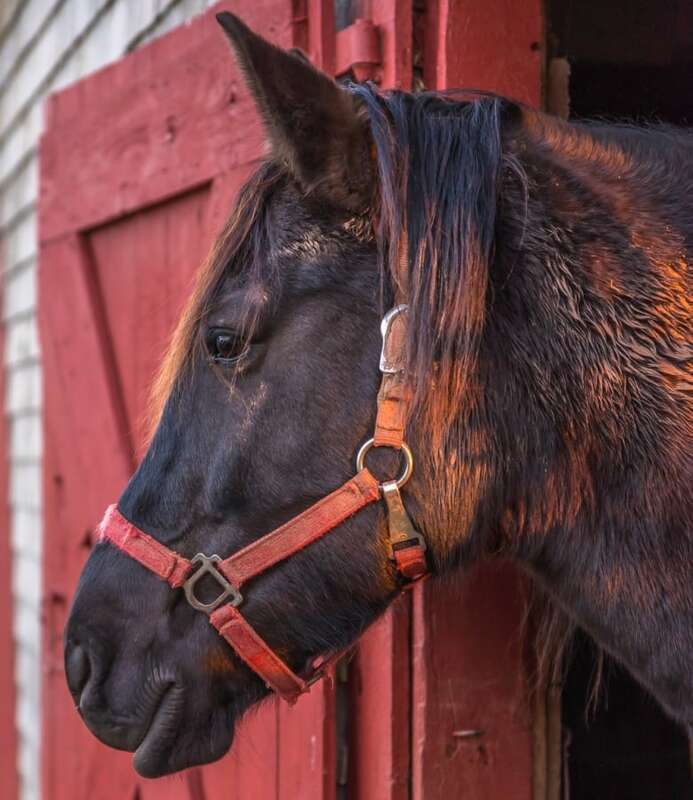 "A great horse for a museum but also a great horse for Islanders in the past that needed a low-maintenance animal that would do the things they needed done." Canadian horses can do anything — you can ride them, or they can haul a cart or sleigh. They can work in the woods hauling logs, do dressage or a course of jumps. They've even been known to pull hearses and work cattle. 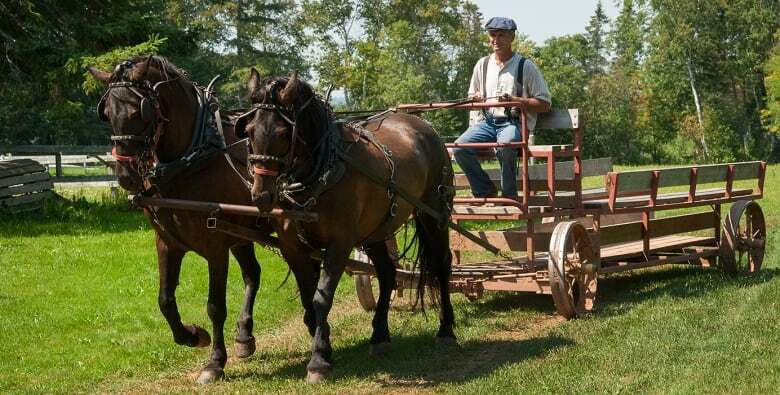 "They just look beautiful pulling a carriage," Lafortune said. They are also used by several police forces, especially in Quebec, she said. Canadian horses are what are known in the horse world as "easy keepers." It's easy to keep them because they don't need to eat grain, just hay or grass — and not even a lot of that. Although many Canadian horses are smaller — what would be considered pony-sized — they are still to be called horses. With their long, wavy manes and glossy dark coats, Canadians take great glamour photos. And they are full of personality. They mostly are dark colours like black, brown and bay. The Orwell museum is considering breeding its mare Tartan in the next few years to ensure the perpetuation of the breed and because visitors would enjoy seeing a foal. Lafortune has now bred her four-year-old mare Belle, who is due to foal in the spring. She then plans to breed the mare again.